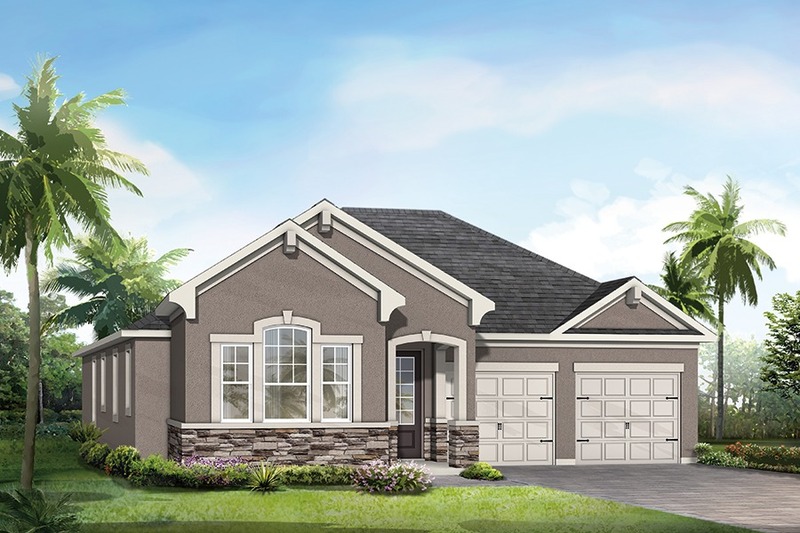 Mattamy Homes' Triple Creek neighborhood in Riverview offers a wide array of options for your new home while providing easy access to all the events, restaurants and more you love around the Tampa Bay area. If you don't want to travel, Triple Creek offers a beautiful clubhouse, fitness center, pool and playground to hang around and meet your new neighbors! The Triple Creek community is off of Big Bend Road in Riverview, allowing quick access to U.S. 301 or I-75 for a short drive to Brandon's shopping and dining district of Westfield Brandon Town Center, Bass Pro Shops, Topgolf Tampa, Dave & Buster's and even more retail options forthcoming. Being close to several major roads will help with a commute to MacDill Air Force Base or Downtown Tampa. And in 2017, Hillsborough County Public Schools opened Warren Hope Dawson Elementary School inside the Triple Creek community. Mattamy Homes was founded in 1978 and is considered North America's largest privately owned home builder. 10 different stylish floor plans in Triple Creek are available, and new homes in the Riverview neighborhood range in size from 1,626-3,510 square feet, with three to six bedrooms and two to four bathrooms. Be sure to check out Mattamy Homes website or stop by the model center for more information! Triple Creek was a featured community in the Tampa Bay Builders Association's Parade of Homes earlier in March of 2018. Riverview is an excellent place for people to be active in their community. The Greater Riverview Chamber of Commerce has events year-round, both focused on business owners and families, such as the annual Trick-or-Treat Street at Riverview High School. Hillsborough County government maintains numerous parks, preserves and nature trails including the adjacent Triple Creek Nature Preserve for your recreation. You can stop by the Mattamy Homes Triple Creek sales center to let their team help you personalize a new potential Riverview home! Want to stay up to date with the latest real estate news and more in Tampa Bay area? Register for an 813area account today, it's free! Photo from Mattamy Homes website.